What is the Best China Travel Guide Book 2019? So you’re looking for the best China travel guide book on the market? One look at the travel section of your local bookstore and you’ll realize that competition in the guidebook business is fierce. The mistake that most people make is that they end up buying a guidebook based on name recognition (Lonely Planet, Frommer’s, etc.) without taking into account their individual needs for that trip. Before you buy your travel book take a moment to look over this China Travel Guide comparison chart – get even more details by clicking on the book title. Disclosure: The following links to Amazon are affiliate links. If this guide is helpful, please consider using them. Thanks! Lonely Planet stands out as one of the most recognizable travel guides all over the world – I’ve personally used them for many years myself. 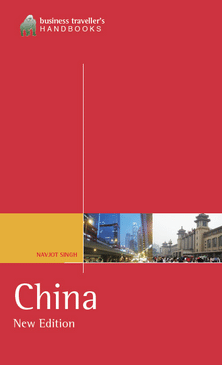 In addition to the Lonely Planet China guide, LP also offers updated guides for Beijing and Shanghai. The current edition of each of these books was published in 2017, which makes them relatively up-to-date. I like that they also publish an ebook version of their China guide which could cut down on the added packing weight. Budget travelers, backpackers, people who know what they want to see. Helpful language guides in Mandarin, Cantonese, Portuguese, Tibetan and Uyghur. Excellent ebook options for travelers. Very few pictures aside form the first chapter. Lonely Planet is very text heavy, so don’t rely on this book to show you where to go as much as tell you. No dedicated subway maps for Beijing, Shanghai, and Hong Kong, although the subway stations are indicated on the map. The maps are good but are almost unreadable because there is so much information crammed inside. Same goes for the language guide. How many travelers are going to need to know the phrase “How long can I park my car here”? I mean, really. The Lonely Planet’s greatest strength is also its Achilles heel: so much information! The book is an animal to carry around (almost 2 inches thick) and tries to cater to every type of traveler, which it proves is difficult but possible. Thankfully they now have an ebook option that is much lighter and allows you to only purchase the sections of the book where you will be traveling. Aside from this, however, there is a reason that the Lonely Planet is such a popular travel guide. They meet a need and do it well. The DK Eyewitness Travel guides “truly show you what others only tell you” according to their own promotion. I love the visual appeal of the DK Eyewitness Travel China, which is unrivaled among China travel books in my opinion. Their photos are beautiful and are helpful for those who don’t quite know exactly what they want to see in China. Unfortunately DK is one of the few travel guide publishers that does not offer an ebook option for either their China guide or their DK Beijing and Shanghai. Thankfully, you can still get an ebook version of their Top 10 Beijing and Top 10 Hong Kong guide books. Mid-range budget, drawn to popular tourist spots, needs ideas for places to go. No eBook version available for download. If you want a ton of hotel and restaurant options for each and every city, there isn’t quite as much detail as you may desire. The details sections are enough to get you by if you’re willing to only choose from a handful of options. What the DK Eyewitness China guide lacks in information it tries to make up for with pictures and beautiful illustrations. If you’re a traveler who wants to visit someplace different but needs ideas on which places would fit their desires, this guide will help you plan. Fodor’s claims that having this Fodor’s China guidebook along is like “having a friend in China”. It provides a good balance between the necessary details and helpful tips and illustrations. 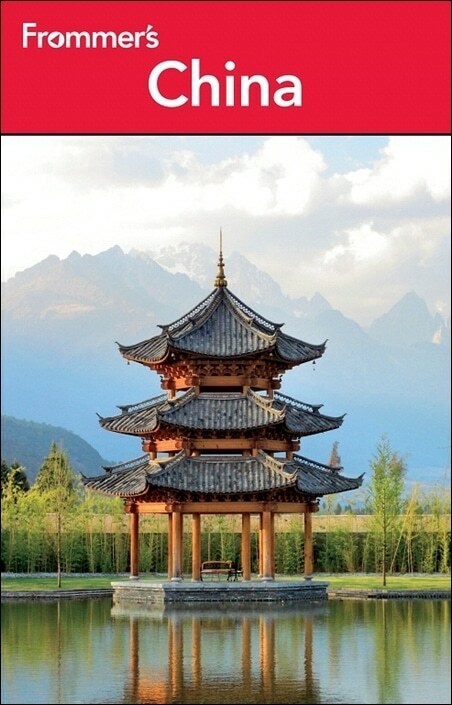 This new edition was recently published in April of 2019, so it’s one of the most up-to-date China guides available on the market right now, although it’s only available as a paperback right now. The old edition is still available as an ebook version as well. Low/mid budget, travels outside the big cities, has a general idea of what they want to see. Great maps and diagrams, now all in color. There are plenty of pictures, but they’re not that big. Fodor’s guides are only updated once every 2 years or so, which means that the information can easily be updated. 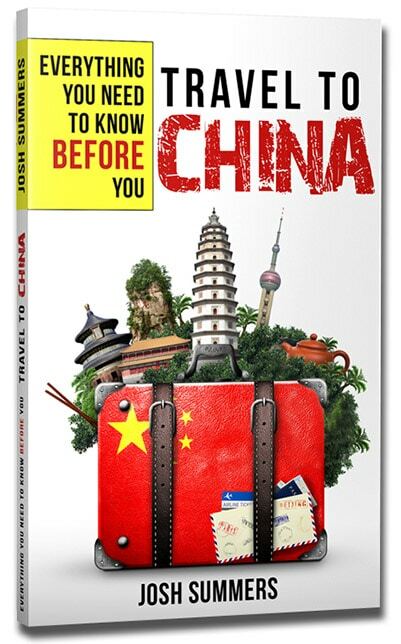 It’s a mid-size book that does a great job of educating travelers to be smart when visiting China and helps you figure out the kind of places that might be of interest for you to see and visit. 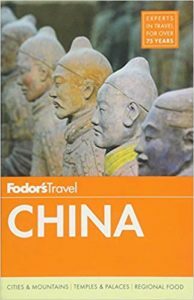 Fodor’s China is a cross between the Lonely Planet’s dedication to detailed information and DK’s liberal use of photographs. Thankfully, they’ve also made the entire guide in color for this newest edition, something that they had failed to do with the previous six. According to Frommers, “the best trips start here”. This is another medium-sized book similar to Fodor’s, and just like Fodor’s, Frommers China does not offer an ebook option. 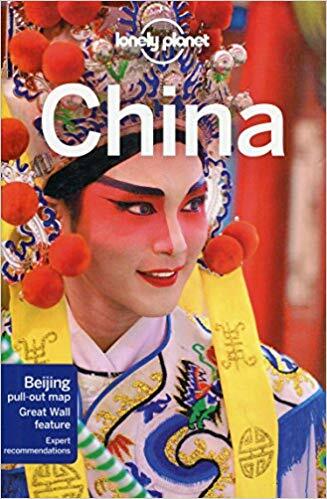 This particular edition of the China travel guide was published in 2012, so it’s a bit old in my opinion. 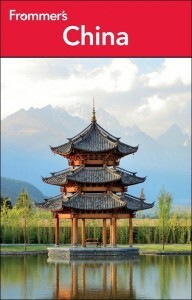 They have a newer Frommer’s Beijing, Xi’an and Shanghai travel guide that comes as an ebook as well. Mid-range, periodically ventures off the beaten path, knows itinerary and may join tour group. It has subway maps for Beijing and Shanghai, but for some reason not Hong Kong. It’s also one of the few guides that seems to cater to those traveling with kids. Each destination is rated on value and whether or not it might be good for kids to enjoy. Frommer’s China seems to be the most comprehensive guide for the mid-range budget. The bigger text almost confirms that this was published with the more mature traveler in mind. 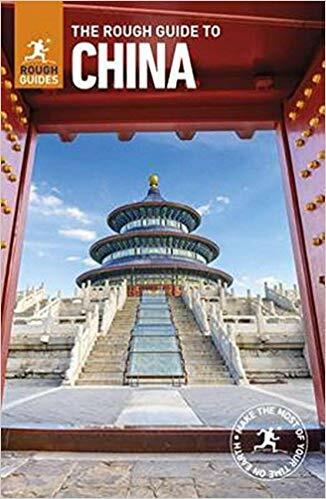 The Rough Guide to China is by far the largest of all the China guides, beating the Lonely Planet by almost 200 pages. Very handy (and hefty) for the wandering backpacker. The Rough Guide is another one that has been made into a helpful ebook travel version, so this is one way to avoid the extra weight. Low budget backpackers, wants off the beaten path, just wants to explore. No suggested itineraries for travelers who don’t know where they want to go. Ad-free environment. Their “Store” is a glorified classifieds that can be quite annoying. This isn’t necessarily recommended for anybody whose whole trip will be spent in hotels instead of dorm rooms. If you’re not roughing it, don’t use the Rough Guide! If you have the extra space and the desire to lug around a couple extra pounds, The Rough Guide to China provides one of the most detailed views of China, which even includes pictures of the different dishes you might want to order. Gorilla guides cater to the specific needs of a specific group of travelers: the China business traveler. So whether you’ll be traveling for only a couple weeks through China or staying here for years at a time, this is going to be a practical guide for etiquette, business tips and travel information. Mid/High range budget, doesn’t have much time to leave the city, can’t really “plan” their trip. Those who will be coming over for a short (1-2 week) business stay or even a year or two long stay on company business, however, might find this useful. Probably even more so than a Lonely Planet or a Fodor’s just because it gets rid of all the backpacker tourist fluff. If you have a tourist visa, this probably isn’t the book for you. The information in the Gorilla China Business Guide is far too specific to a business trip. For those who may be traveling to China for the first time, I’d like to share with you a bonus resource that I believe you’ll find most helpful. Whereas all of the above travel guides do a great job answering the “what” questions of China travel, this book is the perfect answer to all the “how” questions for China travel. First time China travelers who aren’t quite sure what to expect when they arrive. 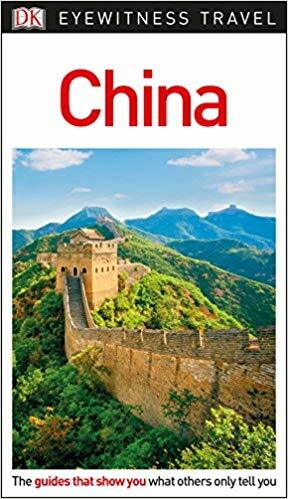 efore you make the leap to purchase any of the above China travel guide books, you might find a copy of Travel to China | Everything You Need to Know Before You Go a perfect starting point. It’s a guide that helps you set expectations for your journey to China by giving you practical tips on transportation, using your phone, finding good accommodations, getting around without speaking Chinese, etc. It’s everything I wish I had known before I first stepped foot in China! Does this book offer an ebook version? Has this China travel guide book been updated recently? Will I be sticking to the big Chinese cities or exploring off the beaten path? Once you’ve nailed down the answer to these questions, it will be easier to determine which China travel guide book is right for you. I hope this has been helpful!